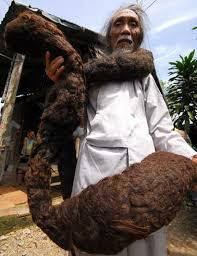 Home / Trending / Viral / world / Matapos ang limampung taon, ngayon lang hinubad ng mamang ito ang scarf sa kanyang ulo! Ito pala ang kanyang tinatago! Matapos ang limampung taon, ngayon lang hinubad ng mamang ito ang scarf sa kanyang ulo! Ito pala ang kanyang tinatago! 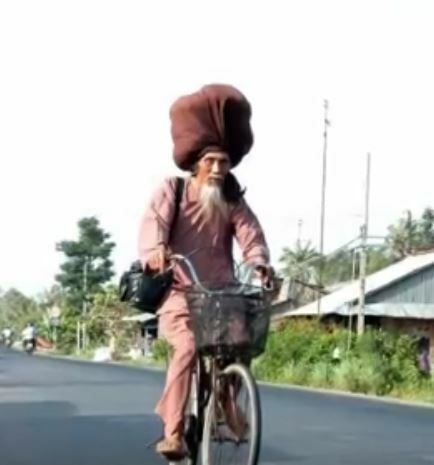 Tran Van Hay, a Vietnamese man, has always been kind of an eccentric character. Every single day for the past 50 years, he would wear a giant scarf over his head. His friends and neighbors would always wonder what he could be hiding underneath! It doesn't look to heavy, but it does look bulky! After 5 decades, he finally decided to reveal what he's been hiding all these years! Turns out, it's nothing more than his own hair! Now, you might be wondering why he needed to hide away his hair in such a large scarf. After all, Harry Potter's Professor Quirrell was able to smuggle a whole head under a smaller scarf, right? Well, if you look closely, you'd see it's not the scarf that's big-- it's his hair! 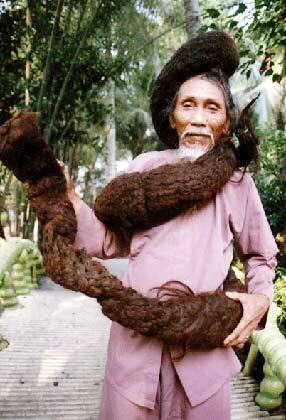 Yup, all this time, Tran Van Hay has just been walking around with this 22-foot dread lock underneath his scarf! That's intriguing in itself, but it's even more curious when you realize there's obviously a rich back story right here. Well, sure there is. 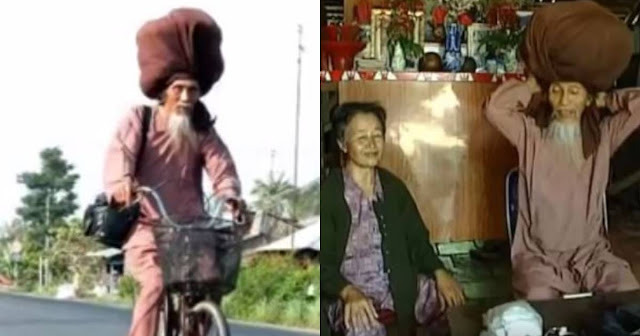 Apparently, the Vietnamese man came home changed from a barber's trip back when he was 25! He apparently felt strange things after the visit to the barber's, and that scared him to go back-- ever again. His hair has grown so long that he could no longer just wear it down, because people would end up stepping on it, and that would just be gross! That's why he decided to put it up in a dreadlock bun, and underneath this scarf. People could hardly believe their eyes upon finally seeing what Tran Van Hay has been hiding in plain sight. Can you imagine letting your own hair grow out like this?